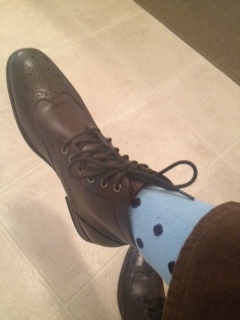 Brown wingtip dress boots by Banana Republic. 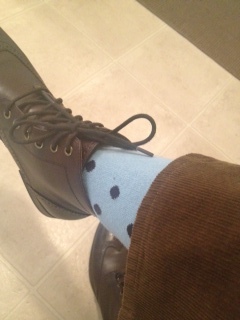 Blue polka dot socks are a Macy’s store brand. Chocolate corduroy trousers by J.Crew. 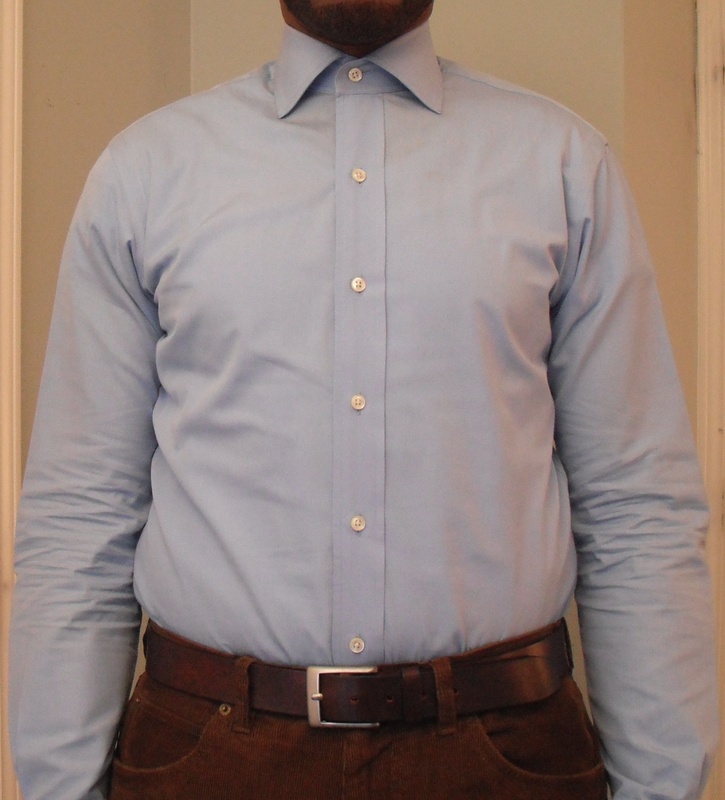 Light blue spread collar dress shirt is by Ralph Lauren. 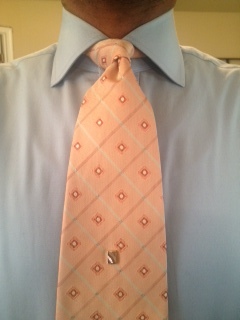 Vintage peach Jos A Bank wide necktie was a thrifting find. Tie pin is a Belk’s store brand. 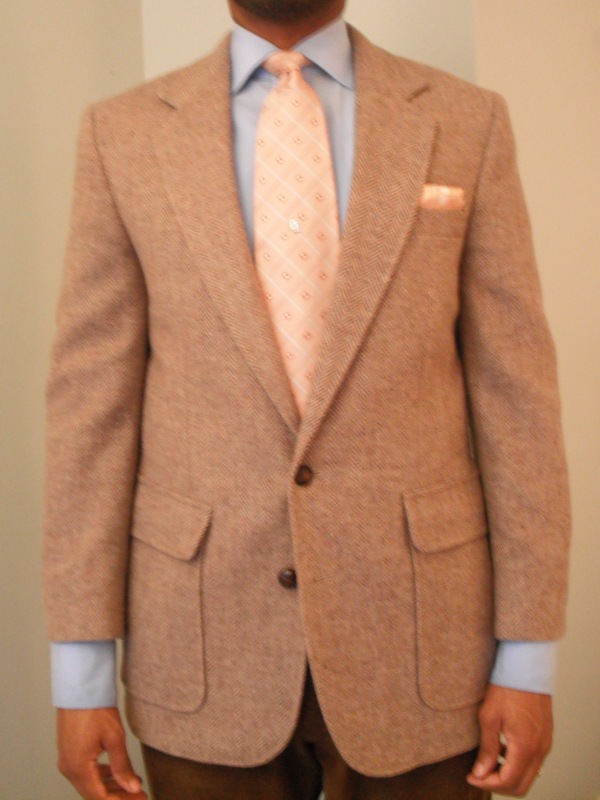 Tan herringbone tweed blazer with notch lapels and center vent was a thrifting find. 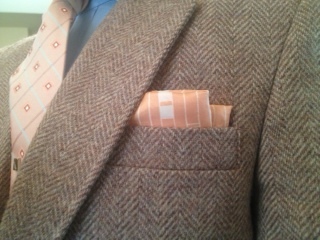 Silk peach pocket square was a thrifting find. 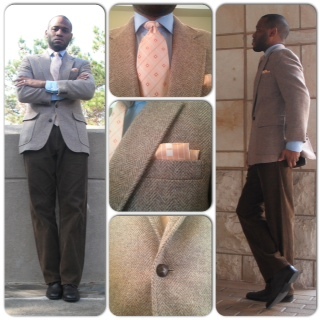 This entry was posted in Uncategorized and tagged Banana Republic, Belks, Charlotte Style, herringbone tweed blazer, J.Crew, j.crew corduroy slacks, Jos A Bank necktie vintage, Macy's, Mens fashion, mens style, Menswear, polka dot socks, Ralph Lauren, tie pin, Wilbur Dow by wilburdow. Bookmark the permalink.